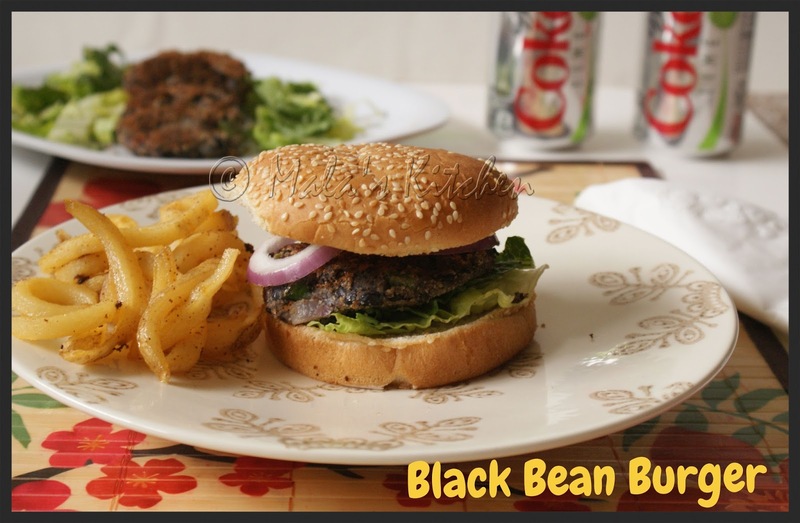 My latest favorite food - Bean burger. I am hooked on to this so much nowadays that at any burger joint I am only looking for bean burger. Its healthy, tasty and also a burger ;). I tried and adapted this from one of my favorite cook books. Burger looks filling,nutritious and completely inviting..Wholesome food definitely. I always think i must make patties but in the end, I do something else with the ingredients. Its nice that you have a simple recipe to try. Love bean burger this one looks delicious! Love homemade burger,healthy and delish..
Its so good, its healthy, its made to perfection and I am loving it. Who said vegetarian sandwich has to be only with cheese and veggies. This is quite a meal! That looks lovely and very clean and healthy. Where the aioli? I cant have bean burgers without a salty.tangy sauce!